Designer Aesthetics Interior design professionals will appreciate the low-profile, magnetically attached MicroThin grilles, which blend unobtrusively with the room's decor. Paintable grilles and an optional square form factor provide the designer with the freedom to match room treatments and colors. With DS loudspeakers, it's easy to create a great sounding audio system that's also easy to live with. Audiophile Performance DS Directed Soundfield loudspeakers have the ability to adapt to any room environment. The patented pivoting driver assembly with a new patent-pending, smooth-action mechanism enables independent adjustment of the tweeter and woofer so sound is directed to the optimum location. 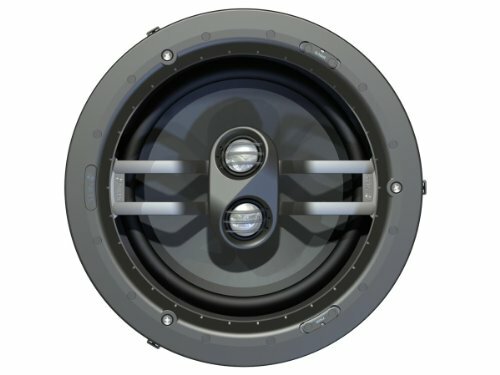 In addition, advanced driver materials, high-quality crossovers, and pivoting woofers and tweeters work in concert to provide a listening experience that sets the standard for ceiling-mount loudspeakers. Installation Ease New, patent-pending spring-tensioned mounting clamps adjust for uneven mounting surfaces and automatically compensate for the expansion and contraction of building materials. DS loudspeakers are weather-resistant and can be installed in moist areas such as saunas, bathrooms, and outdoor patios under eaves. DS loudspeakers install securely and provide years of listening pleasure. Includes (2) Niles DS loudspeakers, (2) Magnetically attached round grilles, (2) Hole templates with painting standoffs. If you have any questions about this product by Niles, contact us by completing and submitting the form below. If you are looking for a specif part number, please include it with your message.